Projects are carried out to bring beneficial change over a course of time. The benefit could be tangible, such as a product or a process, or intangible, such as higher customer satisfaction, or a combination of both. Maximising the realisation of these benefits to make the projects a success has eluded project management researchers and practitioners alike. A major part of research in the project management domain has focused on identifying critical success factors to help practitioners improve project success, however, a significant number of studies still reveal that a large number of projects still fall short of meeting their objectives. The 2013 CHAOS report by The Standish Group states that only 39% of the projects were ‘successful’ on the merits of time, budget and other functional objectives and 43% were ‘challenged’ being over budget, over schedule or lacking in the quality of the deliverables. There can only be two explanations for this. One, due to the ever-increasing complexities of projects and their types, the challenge for researchers has grown on a similar scale to identify a consolidated list of critical success factors for most projects to adhere to, to achieve success. Two, there exists a gap between whatever factors research has identified as critical for project success and the way projects are being managed and delivered in practical situations. Where literature has focused on identification of critical success factors, project success criteria and the reasons why projects fail, another area that has gained attention is that of the improvement that we as individuals and teams can bring about ourselves through learning. Improving project performance from literature seems even a bigger challenge in comparison to improving the same based on organisations’ past experiences of delivering similar projects. The rush to deliver new projects often takes precedence over documenting the knowledge gained from previous projects and even when the knowledge is there, it is overlooked in haste to deliver the project at hand. 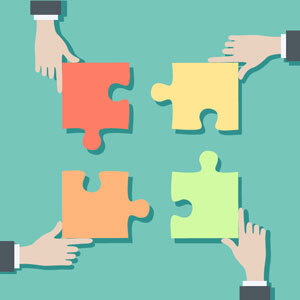 With these accepted realities, we need to adopt other ways of improving project performance that would not only complement the research and its findings and limitations discussed above, but are also more practical, more involving and yet more effective in terms of benefitting the project, the organisation as well as the people involved, both as teams and as individuals. One such way to bring about improvement is knowledge sharing among individuals and teams within an organisation. The sources of learning are many, though what is important is that the learning is used effectively to get the work done in a better way than previously: that is how learning brings improvement. Knowledge transfer has always been a challenge for organisations. Even more challenging is the conversion of the tacit knowledge seasoned professionals and experts have into explicit knowledge that entry-level professionals could benefit from. This also applies for project based organisations in which individuals gain most of their expertise through experience and interaction. Lack of knowledge transfer affects the projects that are intended to benefit the organisations running them. Muhammad Haroon Mukhtar’s whitepaper, ‘The Importance of Knowledge Sharing in a Project Based Environment as a Means for Performance Improvement – Case Study: HT’s 3G Trial Network Project in Country P’ [PDF] highlights the limitations imposed by an organisation’s structure on knowledge sharing among individuals and teams working on similar roles but in different projects that are isolated from each other.